Some small business owners love going over their books — after all, it’s their personal scorecard of how well the business is doing. Others dread dealing with numbers or get so caught up in day-to-day operations that they neglect their bookkeeping. Whether you love it or hate it, good bookkeeping is essential to small business success. Here are nine bookkeeping tips for small businesses that will help put your business in the black. Separate your personal and business finances. When your business is just starting out, it’s easy to mix and mingle expenses and income — but it’s a big mistake. Co-mingling business and personal money can lead to big tax headaches down the road. As soon you have formed your official business entity, you should open a business bank account. It’s also a good idea to get a business credit card as soon as possible. Using a business credit card responsibly helps your business build its credit rating separate from your personal credit rating. Automate whenever possible. Bookkeeping software simplifies what used to be a tedious process of entering data into spreadsheets and reconciling figures manually. Cloud-based bookkeeping software goes one better by ensuring that your critical financial data is backed up to the cloud — no more worries about a crashed hard drive wiping out your books. Plus, by banking online and syncing your bookkeeping software with your business bank account, you can ensure your books are always up-to-date. Do a weekly checkup. If you aren’t a numbers person, your natural tendency may be to put off the “boring” part of entrepreneurship as long as you can. Then, you end up with books that aren’t balanced, bounced checks or unpaid invoices that are months overdue. 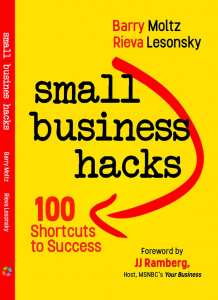 One of the best bookkeeping tips for small businesses: Review your books at least once a week. It will help ensure everything is in good shape. Do a quarterly checkup. At the end of every quarter, take a closer look at your bookkeeping and accounting records to identify trends, both positive and negative. Do you have certain clients who always pay late? Are your revenues growing or declining? How do your finances compare to the same quarter in 2017? Meet with your accountant to go over the numbers if necessary. Looking at the big picture on a regular basis will help you be better prepared for future financial needs. For example, if sales are rapidly rising, you may need to hire more employees or purchase new equipment, which could require financing. The earlier you plan for obtaining capital, the easier it will be to get it when you need it. Use time tracking software to monitor and record your employees’ hours. There are many cloud-based time tracking products on the market that make it easy for your employees to clock in and out (if they’re hourly workers) on their smartphones, tablets or computers. In addition, time tracking software simplifies the headaches of managing employees’ overtime, vacation time, sick time, etc. There is software specific to various industries, so you’re sure to find something that works for you. Look for software that integrates with your bookkeeping software to make processing payroll easier. Track and document business expenses. With changes to business tax reporting for 2018, you may want to consult your accountant to see exactly what kinds of expenses you will be able to deduct next year. For anything you plan to claim on your tax returns, be sure to keep detailed records, including receipts. Avoid having drawers stuffed full of receipts by scanning and digitizing them; there are several smartphone apps that make this easy to do even when you’re on the road. Try to avoid using cash for business expenses. Using your business credit card for business purchases is a good way to simplify your expense tracking, because most business credit cards sort your expenses by categories. Get professional help with your bookkeeping when you need it. Depending on your industry and the size of your business, you may be able to use off-the-shelf accounting software, or you may want to customize your software for your particular situation. An accountant can help advise you on what kind of software you need, set it up for you, and then show you how to use it. Stay on top of your business’s accounts receivable. Late-paying customers can quickly dry up your business’s cash flow. That’s why it’s essential to pay attention to when your receivables are due and act immediately when they’re overdue. Reach out to late-paying customers right away to see what’s going on with their payment and when you can expect to receive the money. If the customer is having financial difficulties, see if you can work out a payment plan to start getting some of the money that’s owed to you. Keep track of your tax obligations and deadlines. If you expect to owe when you file your taxes, plan ahead and set aside funds to cover your anticipated bill. Avoid fines by paying on time. The IRS website has a handy tax calendar for businesses that you can import directly into your own cloud-based calendar so you never miss an important date. You can even set it up to send you reminders one or two weeks before a tax payment is due. If you’ve ever had a quarterly tax payment due date sneak up on you, you’ll appreciate the nudge.